One scholarship category is currently dedicated to a male or female student pursuing any college degree who has a parent employed in the San Diego construction industry. The second scholarship category is awarded to a female student pursuing a college degree in a construction-related profession such as architecture, engineering, or construction management. Prefer to pay by check? 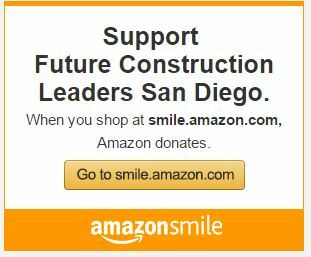 Make checks payable to Future Construction Leaders Foundation and mail to PO Box 880655, San Diego, CA 92168- 0655. FUTURE CONSTRUCTION LEADERS FOUNDATION IS (EIN: 47-3107267) A CHARITABLE 501(C)(3) FOUNDATION.